Bank Fraud, sometimes called Financial Institution Fraud, is the most common criminal offense that white collar criminal defense lawyers handle in California. 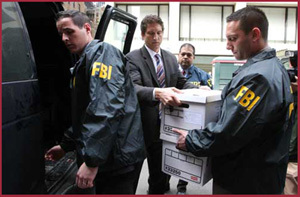 There are several forms of white collar crime that the federal government through the FBI’s Financial Institution Fraud Unit (F.I.F) will pursue. These white collar crimes include insider trading fraud, identity theft, check fraud, counterfeiting, check kiting, and mortgage fraud. More specifically, the United States Attorney’s Office will seek an Indictment (a document formally charging the person with a crime). Charges can be brought for charges as common as theft or embezzlement of monies by a bank employee, or for a more complex crime that may have been designed to defraud people or entities based upon false statements, such as an overvaluation of property or securities. Indictments for other common schemes to defraud, such as processing multiple false loan applications, misuses of loaned monies or non-existent collateral being used to document a loan. If you have been accused of bank fraud, it is past time to contact Attorney Vincent W. Davis. Call Mr. Davis to talk personally and confidentially about the circumstances you or a loved one is confronting.